Despite industrial action taking place in a number of Catholic schools causing the unavailability of some Principals, the Northern Lasallian Principals' group gathered at De La Salle College, Caringbah on Tuesday 31 October. Principals in attendance were: Chris Agnew (DLS, Caringbah); Mick Egan (LaSalle, Bankstown); Br Steve Hogan (Oakhill College); Stephen Kennaugh (DLS, Ashfield); Tim Logue (DLS, Revesby); Daniel McInerney (Casimir, Marrickville); and Mark Pauschmann (James Sheehan, Orange). Representing Lasallian Mission Services at the meeting were Julie Alibrandi (LMC Operations Manager), Joanne Nehme (LMS Project Officer), and Kate Westhead (Lasallian Volunteers Coordinator). They presented on topics including the 2018 Adult Formation Programs, Young Lasallian and Youth Ministry Services for 2018, Lasallian Volunteers and the success of the Container project. A special moment occurred during the day's proceedings when presentations of Lasallian plaques were issued by Julie Alibrandi for both Chris Agnew and Mark Pauschmann who conclude their Principalship at year's end. 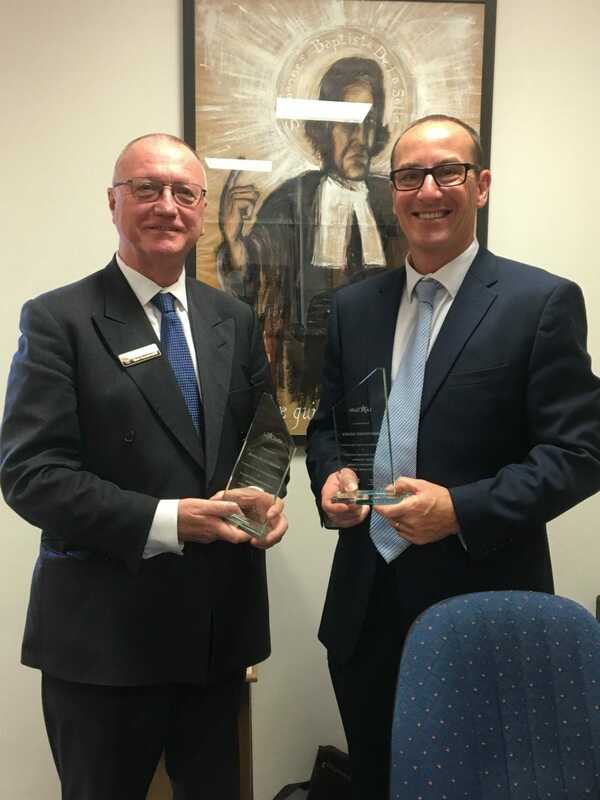 Chris and Mark have been long and loyal servants of Lasallian education in multiple schools across the years, and they will be missed as they move onto new Principalship in other schools. We thank Chris and Mark for their professional leadership and wish them all the best in their new endeavours.